Finding the perfect used vehicle is never easy, but the process can become a whole lot simpler when you explore the extensive inventory of certified pre-owned Toyota vehicles at Toyota of Killeen! CPO Toyota models are significantly more affordable than comparable new vehicles, but since each has passed a comprehensive inspection, you can be sure that you’re getting a great deal. 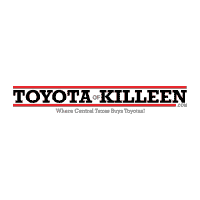 So, why should you choose one of the certified pre-owned Toyota for sale at Toyota of Killeen? We’ll provide you with all of the benefits listed above, of course, but we’ll also do everything in our power to make the purchasing process as easy as possible! Drivers who want to get started can value their trade-in or apply for financing today, and scheduling your test drive only takes a few moments. Contact our team today!